In the ERA-NET "Towards an ERA in Industrial Biotechnology" 15 partners from 13 different countries joined forces to reduce fragmentation of national research efforts in the area of Industrial Biotechnology (IB). ERA-IB was funded from the European Commission's sixth Framework Programme (FP6). It started in 2006 and within its five-year duration, the partners managed to achieve sufficient critical mass and to launch two joint calls for transnational R&D projects, where 18 projects for ca. 21 M€ were funded. ERA-IB-2 built on the success of the FP6 project “ERA-IB”, developed and enlarged (partners from 17 countries) the network further, into a truly pan-European approach to IB R&D funding. This ERA-NET was funded from the European Commission's seventh Framework Programme (FP7) from December 2011 to May 2016. During the lifetime of ERA-IB-2 5 joint calls were carried out and 53 projects with an entire funding volume of ca. 70 M€ were funded. The first four calls of ERA-IB-2 were established in cooperation with EuroTransBio. The last ERA-IB-2 call was organized in collaboration with ERASynBio and the ERA-NET Marine Biotechnology (ERA-MBT). For the duration of ERA-IB and ERA-IB-2 in total 418 research partners whitin 71 consortia were, resp. are, funded from which 71 % are academic research organizations and 29 % are industrial companies. 59% of the industrial partners funded within ERA-IB were SME’s. The alignment and collaboration of ERA-IB-2 with other initiatives in the area of Key Enabling Technologies (KETs) led to a new consortium after the expiration of ERA-IB-2. The ERA-Net Cofund on Biotechnologies is an ERA Net Cofund Action under Horizon 2020 that builds upon the achievements of ERA-IB-2 (ERA-Net for Industrial Biotechnology 2), ERASysAPP (ERA-Net for Applied Systems Biology) and ERASynBio (ERA-Net for Synthetic Biology). ERA CoBioTech was launched in December 2016 and took over the support and monitoring of the ongoing projects funded under the ERA-IB-2 scheme. 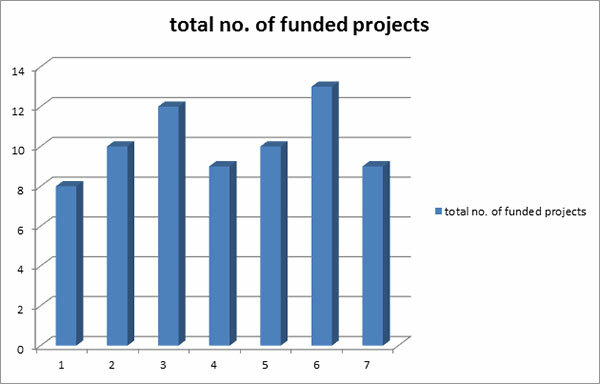 Current information about the ongoing projects and results from the expired and still running projects funded under the ERA-IB scheme can be found on the right.